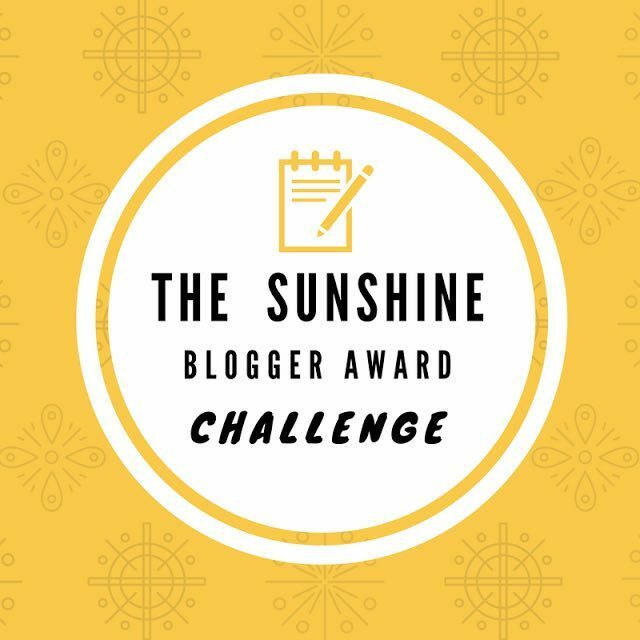 Yet again, I find myself tagged with a Sunshine Blogger Award. This time, the responsible party was Kelly at Why We Play Games. She is an English major who writes interesting pieces on the games she has played over the years. I thank you once again, and without further ado, here are my answers to the eleven questions you asked. If I had to choose one, it would be The Legend of Zelda. There are plenty of series that have lasted around the same length of time, but in many cases, they needed a few installments before their genius truly began to shine. The Legend of Zelda, on the other hand was good as soon as it debuted, and said debut has held up remarkably well given how much the series has evolved since. The biggest part of the series’ appeal is the sheer amount of stylistic ground it manages to cover. After Twilight Princess, it didn’t seem as though there were any new directions for the series to go, but Nintendo proved that notion wrong when they dropped Breath of the Wild, which is easily one of the best open-world experiences out there – if not, the absolute best. There are other series I greatly enjoy as well such as Pokémon, Fire Emblem, Metal Gear, and Mario, but in terms of quality and consistency, I just don’t think you can beat The Legend of Zelda. After playing a few open-world games, I’ve been interested in trying out the Grand Theft Auto series. I didn’t have a PlayStation 2 during the height of the console’s popularity, so I kind of missed the boat on that one. Even after getting a PlayStation 3 (and later a PlayStation 4), I still have yet to truly get into the series. At some point, perhaps. There are a lot to choose from, but Ocarina of Time and its sequel Majora’s Mask stand out. The former is one of those games I wanted to play again as soon as I completed it while the latter I could consider my introduction to surreal, avant-garde stuff. Both games are easily highlights of their respective decades. I would also have to say Pokémon Red and Blue. I had played a few quality JRPGs, but that’s the game that sold me on the genre. Being treated to an experience no other medium is capable of offering. There’s a yet fully untapped storytelling potential in this medium and the indie scene in particular has been doing great things with it. I also like the idea of sharing the great experiences with others so they too can see why I liked it so much. When I was able to sell many friends on Undertale, I knew I made it. Truth be told, I mostly see the consoles as a means to an end. I guess I could say the Switch due to being a portable/home console hybrid and how much of a boon it is to the indie scene, essentially being the video-game equivalent of A24 (if A24 actually respected their audience). However, I tend to pay attention to the games first and the consoles they’re on a distant second, so in all honesty, I’m not sure I have an answer to that question. I personally believe that a game is only really as good as its single-player campaign. In most cases, multiplayer should be a bonus feature. It can be a very fun bonus feature, but it’s a bonus feature nonetheless. After all, if a game has a terrible single-player campaign, bringing a friend along for the ride isn’t going to salvage it. Meanwhile, if said campaign is solid, it’s only going to make multiplayer sessions that much better. There are a lot of great choices, but I’d have to go with the classic Couple’s Mask sidequest from Majora’s Mask. Anyone who has played that game knows what I’m talking about, so I’ll say no more to avoid spoiling it for those who haven’t. Another question where I’m not exactly short on choices. For now, I’ll say Ornstein and Smough from Dark Souls. They’re a notoriously difficult duo, and I was elated that I was able to defeat them on my first try (no, I didn’t summon help – I soloed the fight). Yet again, I have many choices for this question, but I think I’m going to have to go with the Boost Guardian from Metroid Prime 2. It’s made easier in the Metroid Prime Trilogy rerelease, but in the original version, be prepared for a tough fight. Part of what makes it so difficult is that it occurs so early in the game when you’re strapped for energy tanks. Even worse, you’re always taking damage in this fight due to the circumstances surrounding it, so you have to deal with that as well. For a more obscure one, look no further than Fire Emblem: Thracia 776. There’s a boss in an early bonus chapter (the one following the eighth chapter) with ridiculously powerful stats relative to his point in the game. Again, a significant part of what makes him difficult is that he shows up when your party is still rather weak and strapped for resources. I find myself equivocating yet again due to the overwhelming number of good choices, but for now, I think I’ll go with the protagonist of Undertale. They manage to have a ton of personality without uttering a single word of dialogue, and in a medium where actions speak louder than words, that is absolutely vital. Other great choices would be Link from The Legend of Zelda, Mario, Yu from Persona 4, Adol from the Ys series, Phoenix Wright, Miles Edgeworth, and Samus from the Metroid series. I’m sure there are countless others I’m not thinking of. A Hydreigon maybe? Really, Pokémon isn’t short on choices and anything capable of flying is a plus. Now it’s my turn to drum up questions, so here they are. In what cases did you find yourself siding with critics over fans about a work’s quality? Rob @ I Played the Game! Thanks once again to Kelly for the nomination! Thanks for the mention, and – as usual – those are great answers. I am glad to see the Boost Guardian getting a nod as hardest boss. You’re welcome! And thanks! I was going to include a Dark Souls boss, but I decided to go with the Boost Guardian instead when I realized there really wasn’t a boss in Dark Souls I lost to an inordinate number of times in that game (I felt the sole exception was more annoying than difficult). Granted, I defeated the Boost Guardian on my second (third?) try, but even if I didn’t struggle against it, I can appreciate why others did. Thanks for the nomination! Kelly nominated me too so I’m feeling Extra loved haha. Not sure what protocol is for these situations so I’m probably just going to do one post and answer both sets of questions as both are quite different but interesting. Happy to see Yu and Miles Edgeworth getting some praise. I know Yu is essentially the player but his sarcastic or random remarks next to the serious dialogue choices always crack me up. Oh, did she? I didn’t catch that, my bad. I’ve seen people combine all the questions into one big post when double tagged, so that is indeed an option. Yeah, I think silent protagonists are often dismissed because they supposedly have little personality to them, but Yu always struck me an intelligent, perceptive, and the straight man in an eccentric cast. There’s a lot of personality in these kinds of characters if you pay close attention. Also, Miles Edgeworth goes through a really cool character arc; getting to play as him in Ace Attorney Investigations and its sequel was quite a treat. The latter in particular is one of my all-time favorites. Thank you very much as ever! I’ll see if I can get a response post done sometime! You’re welcome! I look forward to reading your answers. Ah good, that enthusiasm will get you through the questions no problem! You’re welcome! Hope you enjoy answering these questions! Not read your full post yet, although I can tell its going to make for a great read! Thanks! I find I like to ask these strangely specific questions; it makes for a nice change of pace. Hey, thanks for the nomination. I’ll really have to think about my answers to some of these questions. You’re welcome! I look forward to reading how you answer these questions. Thank you for the nomination! I’ll add it to my list of blogging things to do…. which is getting quite long these days, haha. You’re welcome! Hope I didn’t put too much on your plate! Anyway, that’s definitely a rule I’ve enforced from the beginning; I only rate games based off of their single-player campaign. I remember one person reading my Modern Warfare 2 review only for them to wonder if I ever played the multiplayer mode, saying that it’s expected that the single-player campaign is dull and unambitious. I countered by pointing out that if a game is only sold on its multiplayer mode, it’s not going to have any legs to stand on in the long term – especially when/if the developers pull the plug on the servers. Those games would then be like having to pay for an update to your OS every year if you wanted to continue playing online. Oh man, those are some good questions! My mind is already pondering on a few of them. Thanks for the shout-out, and I’ll be sure to put some good effort in on this in the coming weeks before I post my responses! Thanks! And you’re welcome. You tagged me last time, so I thought you could use a little inspiration for your next post. Great questions, I will answer them as part of my 800th blog (which will be the one following my next). Oh, I know the answer to this one! Because it wasn’t in any particular order. Anyway, I’ll look forward to that 800th blog post. I bet it’s going to be epic. I see you’ve posted them just now. I’ll comment on them in a few minutes. You’re welcome! I thought the community around here could use an excuse to get writing – there’s never a wrong time for them. I was going to express astonishment that with your immersion to the games media, you haven’t played any Grand Theft Auto. But then I thought back and realized that the only GTA game I’ve spend more than a shard of time in was GTA 3. So I guess I’m mostly in the same boat, there. I’ve got a weird trajectory going on for films as well. Who else from my generation can claim to have watched M, The Three Colors trilogy, and Nostalghia before Raiders of the Lost Ark or Monty Python and the Holy Grail? Anyway, I remember you mentioning when I reviewed Haze that you’ve played so many games influenced by Halo that you’ve practically played it already by proxy, and I think I feel that way about the GTA series. If I take the plunge, I think GTA III is the one I’ll start with as well; from what I’ve heard, it wasn’t really a series that caught on until it went 3D (though GTA II has a fair share of fans). Now I know who to ask for help if I get stuck on Ornstein and Smough as I intend to play the game again at some point. I’m kidding! The boss fight was in fact hard. I think it’s because of that fight, I became a better player. I made a character with incredible resilience, though only middling damage output. Other than that, most sources say taking out Ornstein first is the way to go. Dark Souls is a real sink-or-swim game, so I believe that. Thank you for the nomination! 😀 Looking forward to answering your questions soon! You’re welcome! Hope you enjoy answering them. I’m way behind on my blogs and only just saw this! Thanks for the mention. I’ll look at answering these soon. You’re welcome! And I understand. Your life should always come first. I’ve always admired the Zelda series, and while I really like A Link to the Past, I feel the franchise achieved a higher level of greatness with its 3D installments (well, maybe not Skyward Sword so much). Breath of the Wild is one of those games in which you really have to push through a wall. If you can get past it, it’s incredibly good – easily one of the best games of the 2010s. It’s on my list of games I’ll hopefully return to (but probably won’t), hah. That’s too bad; the loss is yours, I’d say. At first I was only planning on getting FFVII related tattoos, but now that I’ve been re-watching the Zelda series, I really want to get Triforces on my hands. Once I’m done with my remaining FFVII tattoos, that’s next! I’m watching Twilight Princess right now, and if it wasn’t for Final Fantasy Zelda would hands down be my favorite series. It’s such a great franchise with so much lore. Majora’s Mask is probably my favorite game in the series. The Triforce does make for a great emblem. I member thinking it quite something when I saw it emblazoned upon a coworker’s wallet. I’d say Zelda manages to be better by virtue of having been consistently good over a long period of time. There aren’t many series out there that can claim to have provided decade-defining experiences for four decades in a row. And I can certainly agree that Majora’s Mask is the best game in the series – it was one of the very few games to receive the 10/10 grade from me.